UPDATE: Due to last minute scheduling conflict we have had to change the date to 6/20/18...same time and same place! Sorry for the inconvenience. Looking forward to seeing you there! 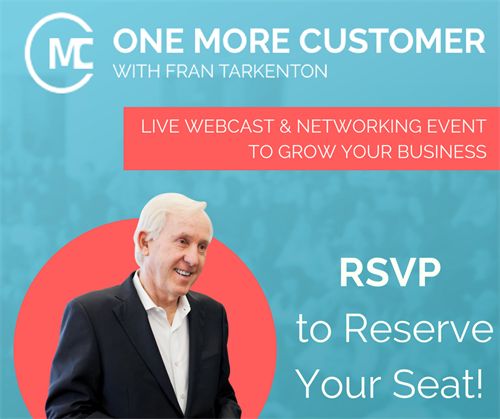 Our upcoming OneMoreCustomer event features Fran Tarkenton and special guest, David Nour, author and strategist, discussing Relationship Economics: the Art and Science of Relationships.